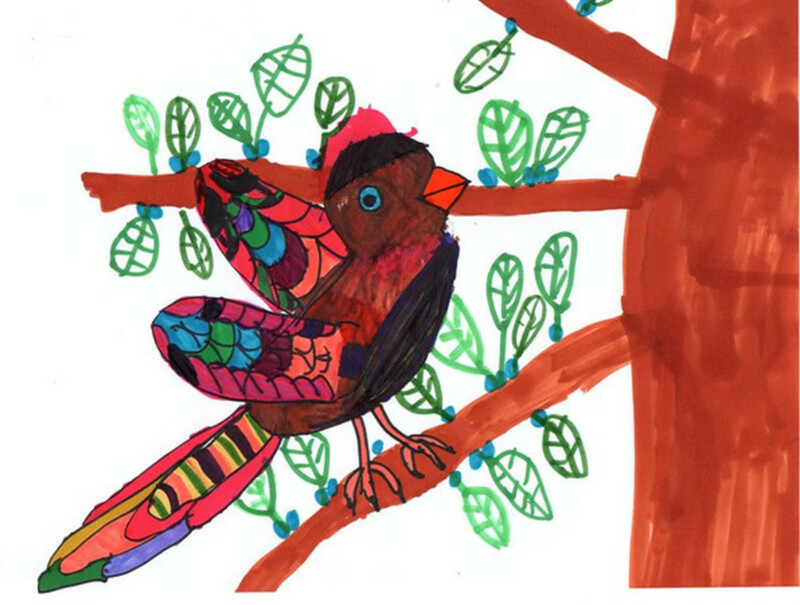 Here is the record of our homeschool journey into drawing, using Mona Brookes' Drawing with Children as our main resource. My daughter Sprite was nine years old when we began these studies. She is a motivated artist who wants to hone her skills. I usually do the activities right alongside her. My daughter now is 13 years old and still loves art. I credit her skill to an early start with Ms. Brookes' principles. This book is more of an art education philosophy than an open and go curriculum. Although it offers a lot of great ideas and how-tos, you'll have to use some planning to make it work in your homeschool. This is the book that is the center of this lens. 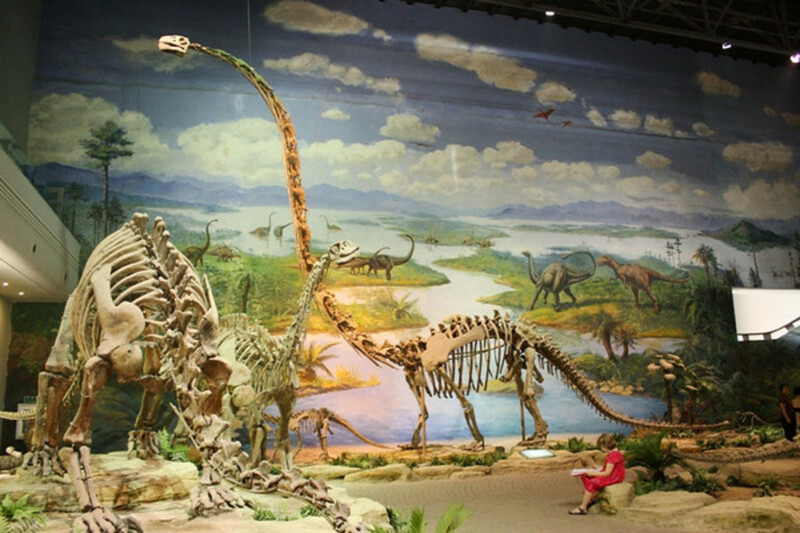 It is more of an art education philosophy than an curriculum. Although there are specific activities outlined in the book, it's not an "open and go" type of lesson plan. You do have to use some thought as you implement Brookes' ideas. This book is highly respected by Charlotte Mason educators and homeschoolers. So she begins her drawing instruction with learning to recognize and draw these elements. Nadene over at Practical Pages has a free printable for learning these basics. 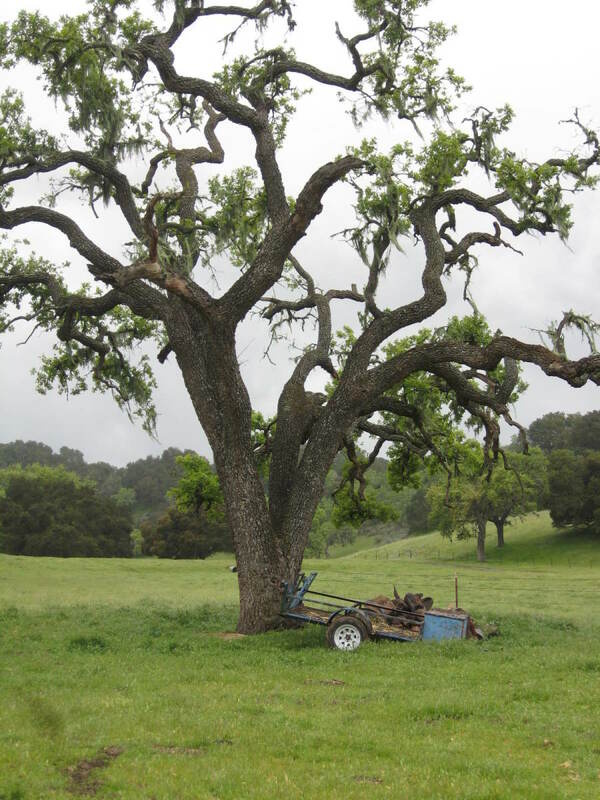 If we can learn to see things broken down in the individual elements, we can more easily draw them. 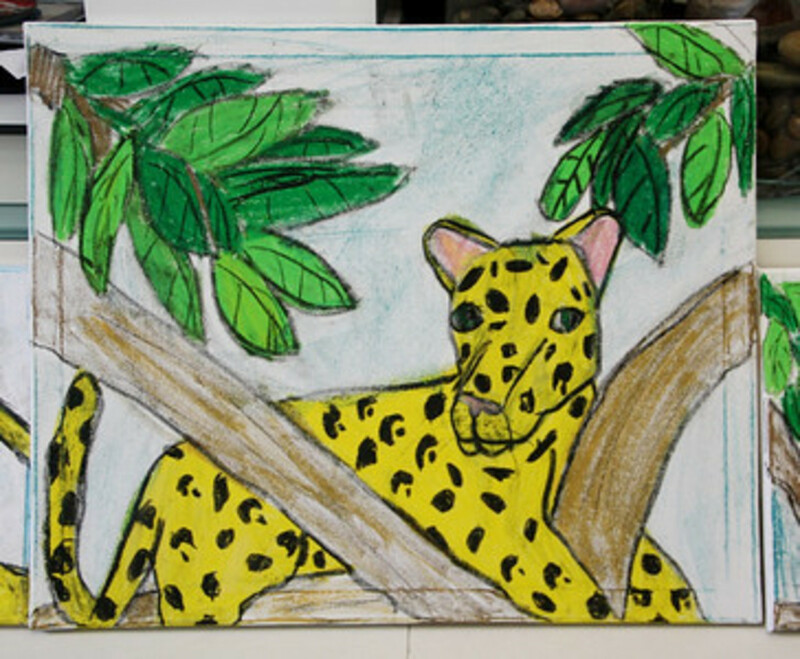 In Drawing with Children, each lesson begins with a warm up exercise using the elements. There are different types of warm-ups, so there's no need to get bored with one type. 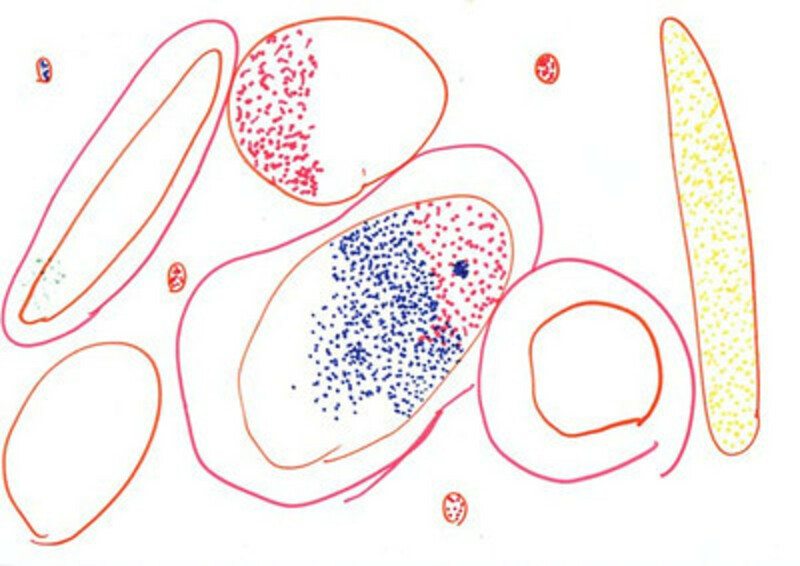 One type of exercise is making up your own abstract piece of art with bold colored markers. Draw four blue circles anywhere on your paper. Using a new color, make three intersecting lines that go all the way off the edges. Overlap your dots with black curves. 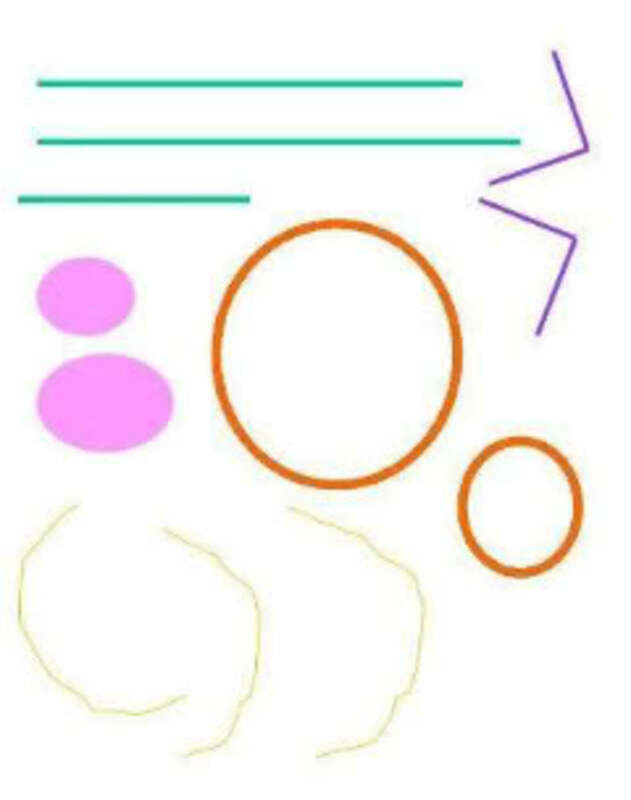 Using any three colors you choose, draw sixteen curves inside a huge circle. Another warm-up involves duplicating abstract patterns. Looking at abstract patterns made of these elements and copying them later transfers into breaking down any image into the elements it is made up of and then drawing what you see. 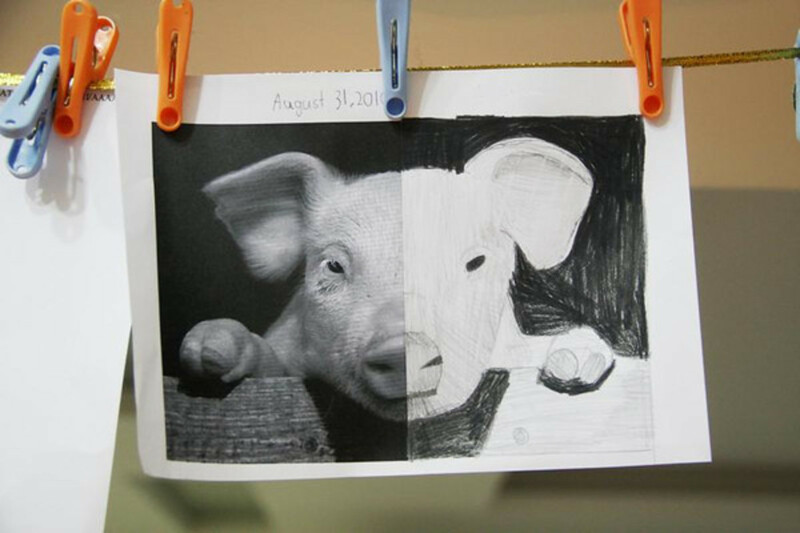 Ms. Brookes says that you should "spontaneously use some kind of similar warm-up before each drawing lesson." The book offers some examples which you can copy. But you'll certainly have to make some of your own. Visit Donna Young for many free printable warm up exercises (such as the image here) that will keep you busy for some time. A third kind of warm-up is the mirror image one. This is most challenging, in my opinion. You complete the symmetrical missing half of a shape. Visit my blog entry about Symmetry Sketches for more information and for some free printables. 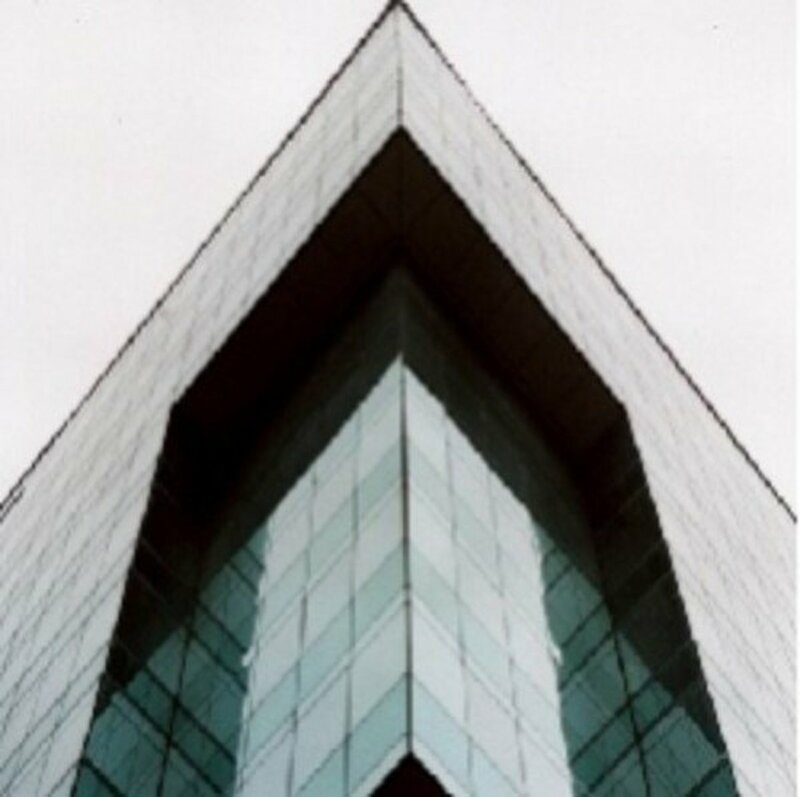 Donna Young's site has some mirror image practice pages too. and artistic talent can be developed." In my reading about using Drawing with Children, I've found that many people consider the book non user-friendly. What are you experiences with this book? What is has been your experience with the book Drawing with Children? It's been a grand success! Smooth sailing all the way. It's been worthwhile but included some struggles. It's been very disappointing. This book is hard to implement. It's been a disaster. I think I'll sell this book at the next used book sale. I've not used the book. I'm here to investigate. Ms. Brookes has recommendations for children as young as 4, but I think that this book would be best for children at least 7 years old. There is no upper limit. 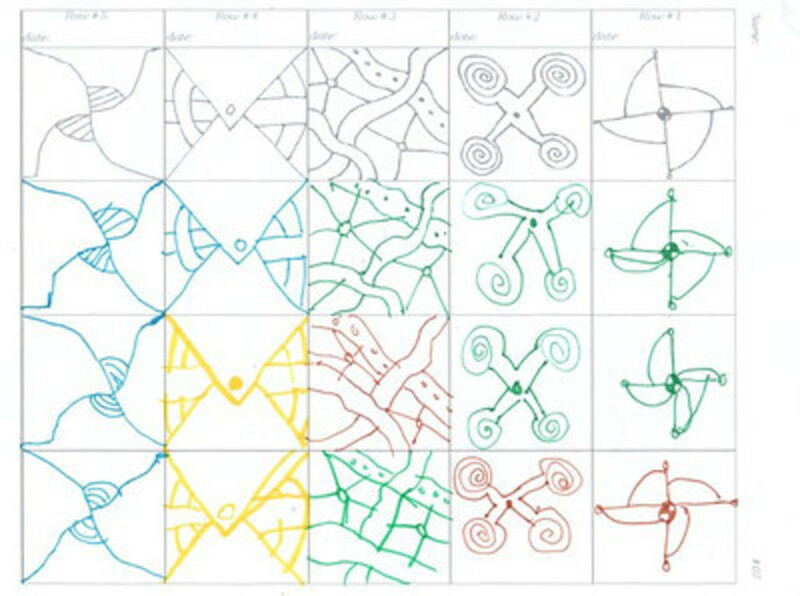 These methods could also be used for adults just learning to draw. And I strongly encourage you to do the activities alongside your child. From the directions on pages 75-79, we drew birds. Here is Sprite's finished drawing, based on the step by step directions. 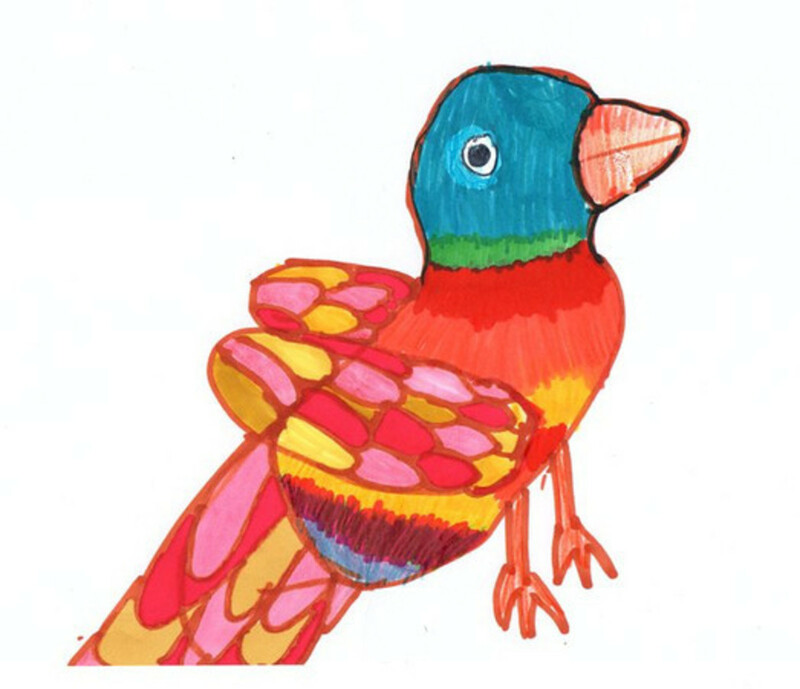 Because she wasn't totally satisfied with her results, she made another bird, relying more on her own imagination rather than the steps from the book. 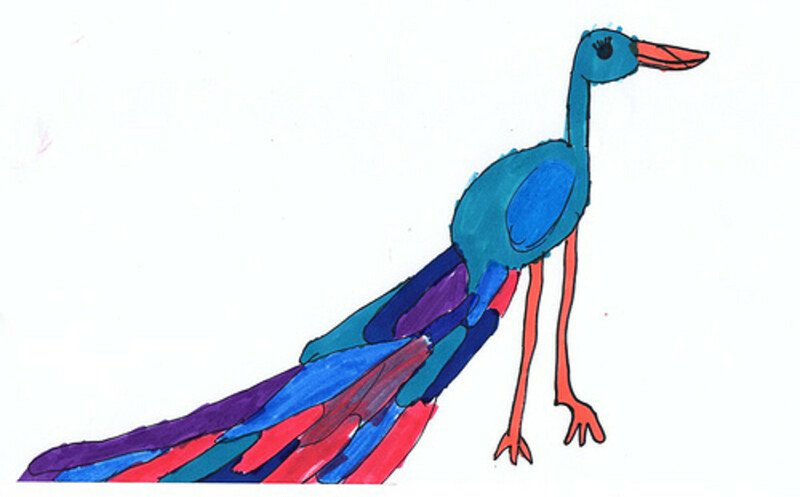 And lastly, she went down her own path, creating a totally different style of bird. Using the directions on pages 106-112, Sprite drew this all by herself. She simply followed along with the step by step pictures in the margin. I doubt that she read any of the text as she worked on it. Mona Brookes recommends having a picture file for inspiration and for subjects to sketch. 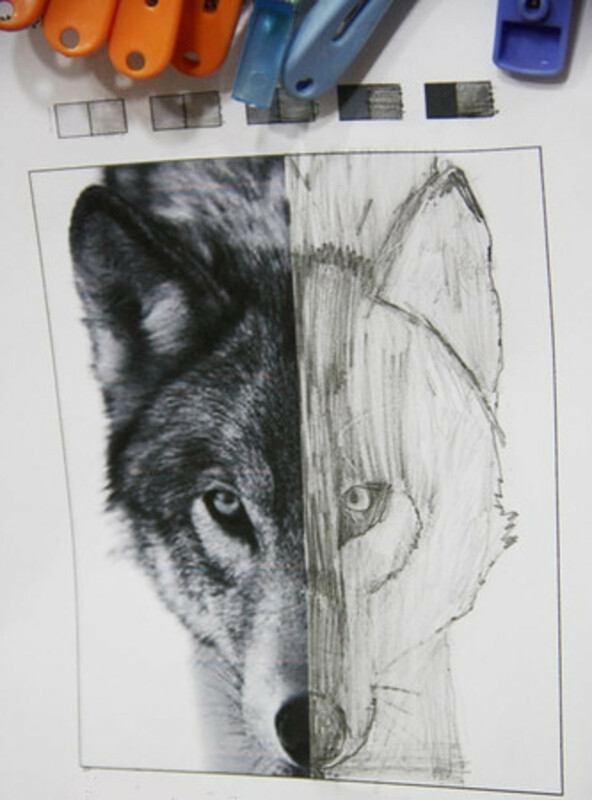 Despite the feeling that copying from another source is "cheating," Mona reassures us that even professional artist use various photographs and the works of other artists as references. It's not cheating at all. We must first see what we are to draw. 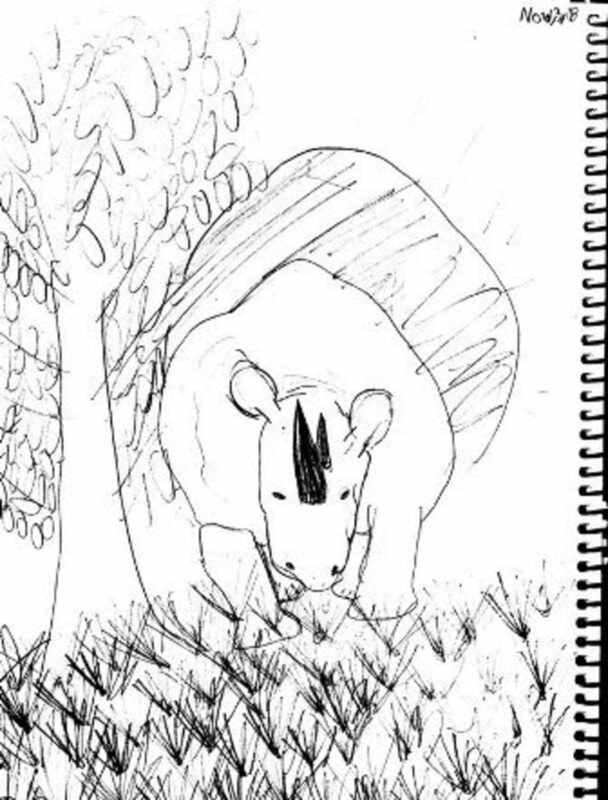 This is a pencil sketch of a rhino that Sprite saw in a science book. So begin collecting photographs, magazine ads, greeting cards, and calendars. We have found that our postcard collection works very well! Sprite is, like any 9 year old girl, a lover of all animals. 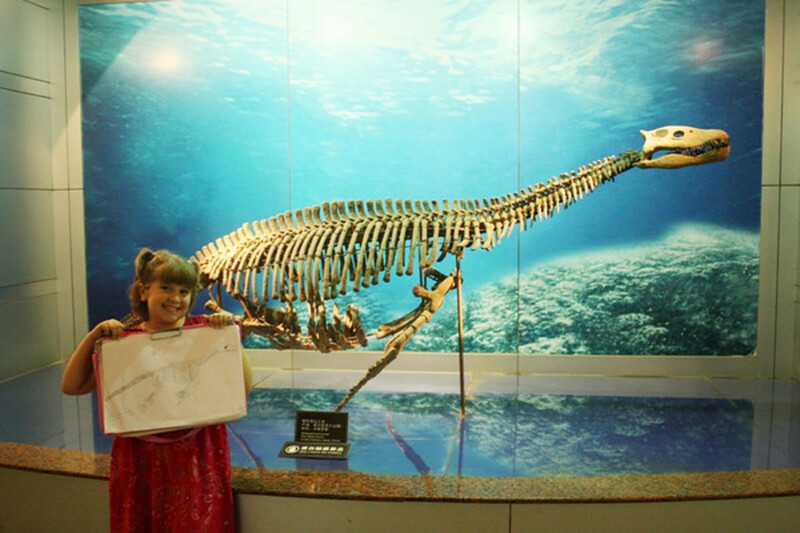 So she enjoys browsing through the postcards to find an interesting animal to sketch. "Be patient with what unfolds, don't put any emphasis on comparison of levels, and keep encouraging yourself and your children to simply enjoy the learning process you are experiencing together." We didn't really care for the still life selection offered in the book. I also felt that to copy something from a book was drawing from a graphic and not actually a still life. So I allowed Sprite to select some things to sketch. She chose a red bike helmet and some various toys. Anything can serve as the subject of a still life. Here is a plush backpack that Sprite chose and her sketch of it. Sketching can happen anywhere you go as long as you prepare ahead and take some paper and pencils. 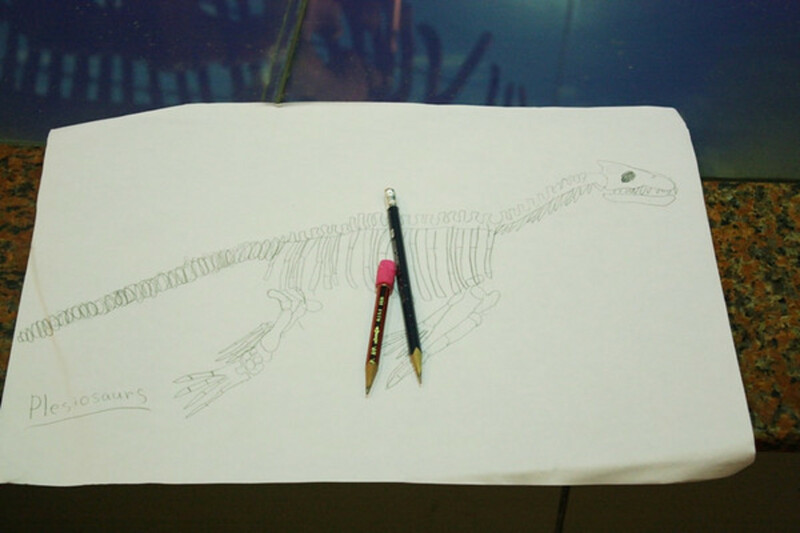 Recently my daughter sketched some dinosaur fossils at a museum. I happened upon a great find at an Ikea store! 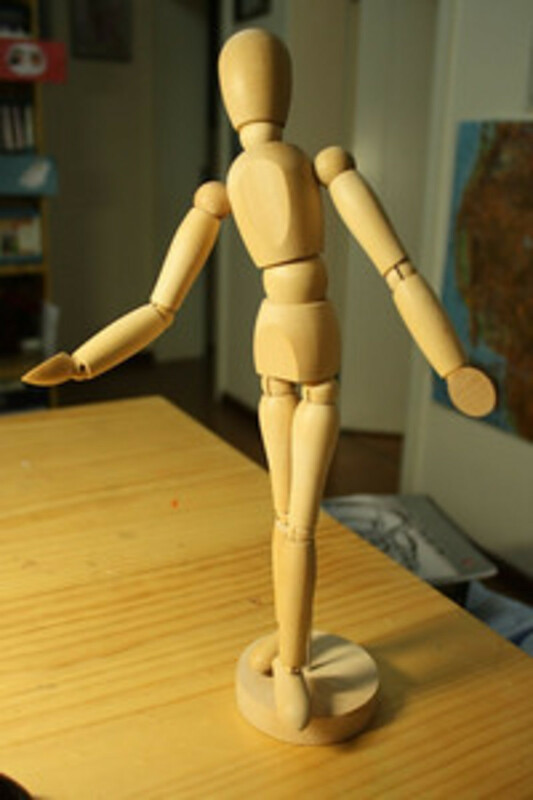 Poseable, wooden artist's manikins for just a few dollars each! I bought two for Sprite to sketch. 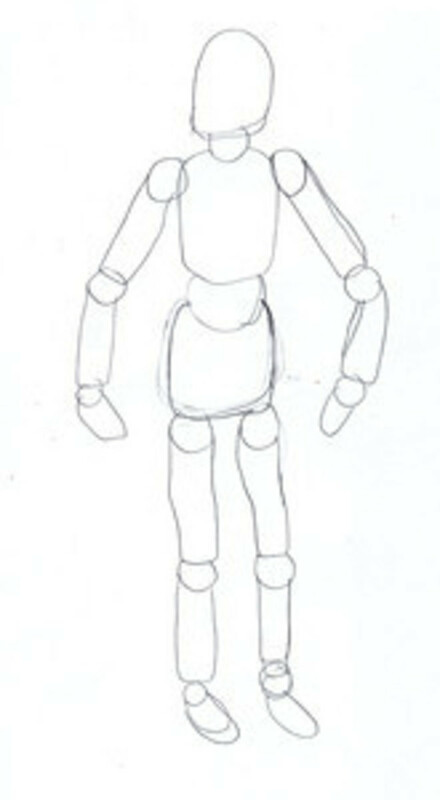 The idea is that you study the proportions and angles of the limbs and sketch more realistic human figures. You can even work on top of the model sketch to add in facial details and clothes. 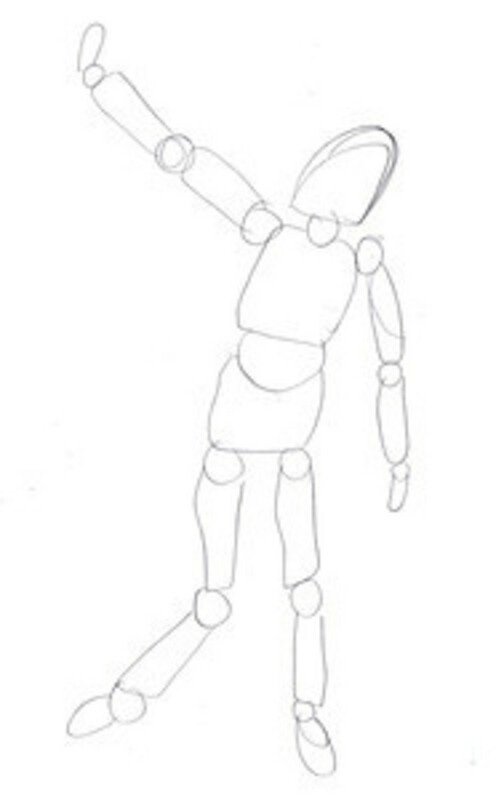 Here are a few of Sprite's sketches from her manikin. 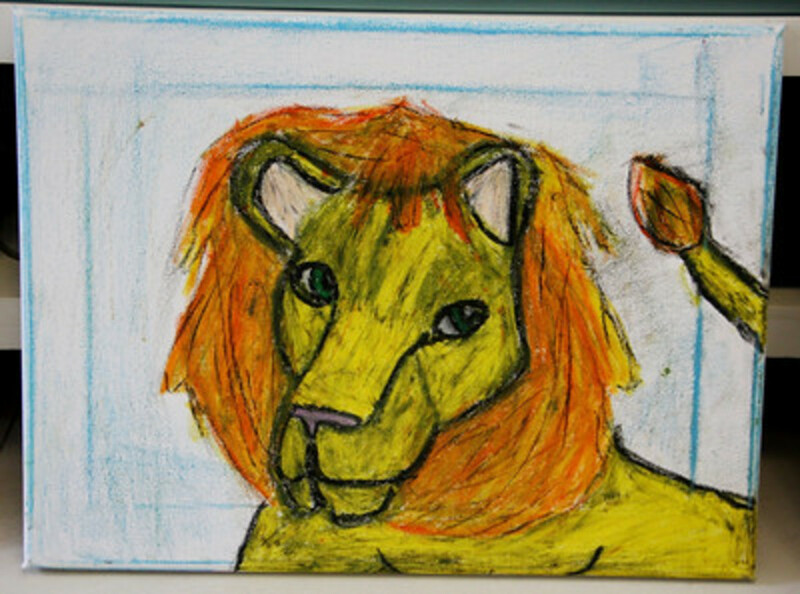 This yahoo group is devoted to art -- drawing and appreciation of fine art. 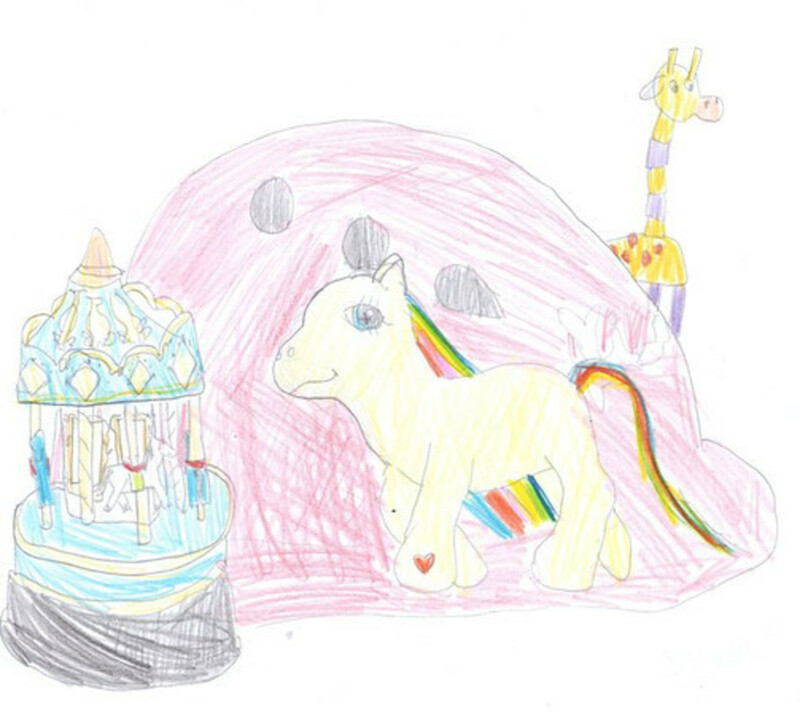 The files have a wealth of resources for using Drawing with Children. A no-frills, no-nonsense website jam packed with ideas. Here are Paula's art ideas. She also hosts a plan for using Drawing with Children. Here you'll find another very straightforward website with a plethora of free printables -- lots of warm up exercises at many levels of difficulty. The image of the duplication exercise is a free printable from her site. This is Marvin Bartel's art site. You'll find plenty of food for thought on this rich site! His philosophy is similar to Mona Brookes'. Barb of Harmony Arts shares her thoughts on this art philosophy. Also included are some sample photos of her children's work. 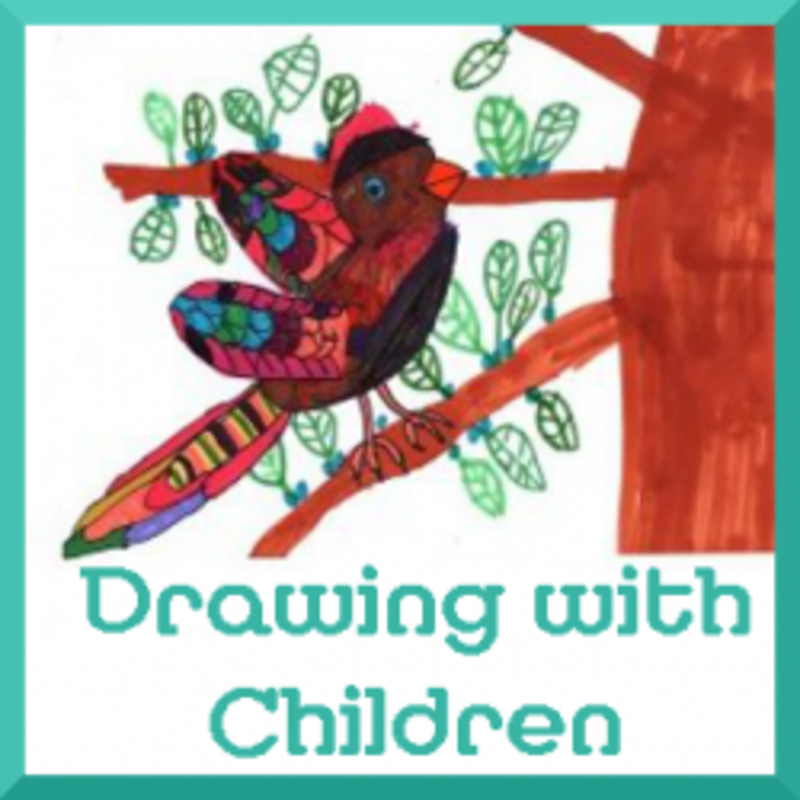 Drawing With Children-At What Age? Barb answers the question when to start Drawing with Children. 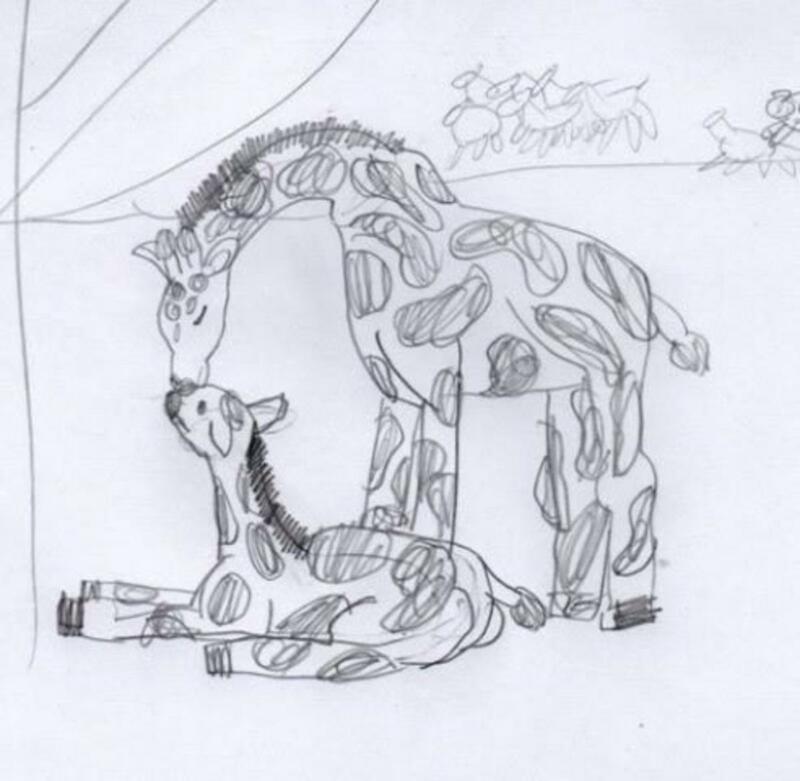 Barb also gives a series of her son's sketches through the years. It's a most helpful and practical post. These were done in her free time, without any prompting on my part. She did request some canvases, and I obliged by providing the materials she needed. Using real artist materials seemed to give her a real pride in her work and demonstrated that I value her creativity. The website for this book is here. I happened upon this book in txt or pdf format for free at Scribd. An artist friend of mine recommended using this book with my kiddos. I love being able to see some of the concepts etc. that are taught. Thanks for this great lens! I used Mona's methods in a Junior school in Zimbabwe. The Senior school art mistress told me that I had sent her the best set of students ever! However the Junior school teachers were up in arms. They did not think children should be taught to draw, mainly because they wanted me to decorate their classrooms, I think. I was pilloried but the head supported me, but it was an uneasy experience at teatime to sit with these dragons and knowing how much the children were enjoying and learning from these lessons. I used the idea of 'no criticism' by putting up all the words we were not allowed to us on the walls of the art room and it really did draw out the nervous pupils when they felt safe. Thank you so much for your information. I have been looking for Monart resources to use in my lessons and found your worksheets extremely useful. I have just found out about Monart and am excited about teaching it in my lessons. Thanks for sharing your daughter's art with us, and telling us about the book Drawing with Children! Blessed! Brilliant ideas on this lens. Blessed. Wow Jimmie: Very impressive site. 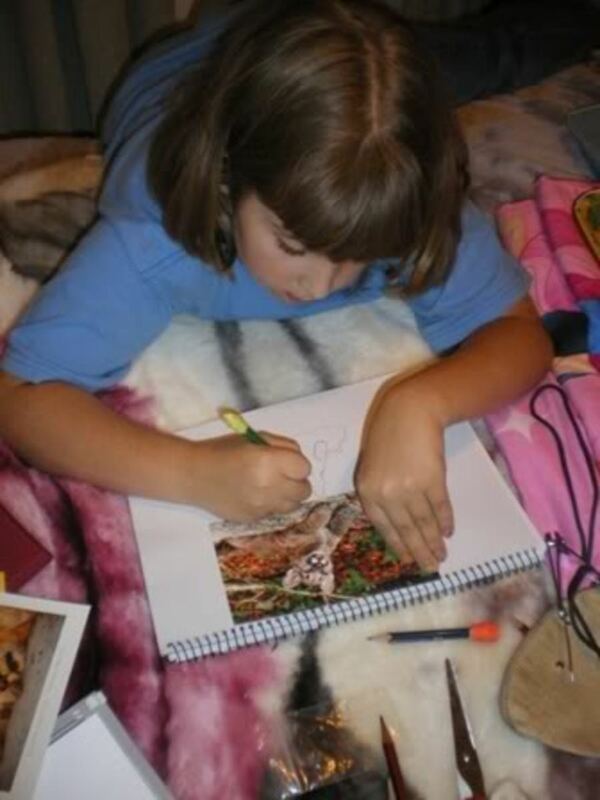 Thank you so much for including a section for Art For Homeschool. Jimmie, your page was helpful for me in finding info to teach drawing using this book. I've used the warm up pages off of donnayoung.org and another freebie that has been helpful is this book, What To Draw And How To Draw It. It is for in the beginning stages when young children need to be copying step-by-step. http://www.archive.org/details/whattodrawhowtod00l... If the link doesn't come through well, googling the title will get you the link. It is a PDF that you can download, look in the top left sidebar. Hope that is helpful to someone. We are really enjoying learning to draw! We are starting our lessons with this book soon. I spent about three hours today with the book. I am excited but scared! We'll see how it goes...I decided today to wholeheartedly commit nine lessons (nine weeks) to this philosophy before I make any kind of decision. You know how much I love using this book with my family. I wish more people would really give it a serious try to follow the steps! Sprite is doing a great job on her drawing. Very cool. Some great exercises. I will be teaching drawing to teens starting after the first of the year. I might have to check out the book recommended by Lilliputstation. Another great drawing exercise, is to take half a picture, from a magazine, or what ever...and then fill in the other half. It gives you a place to start, but you have to fill in much of it with your imagination. Loved this lens. Of course, being an artist, I am somewhat biased. 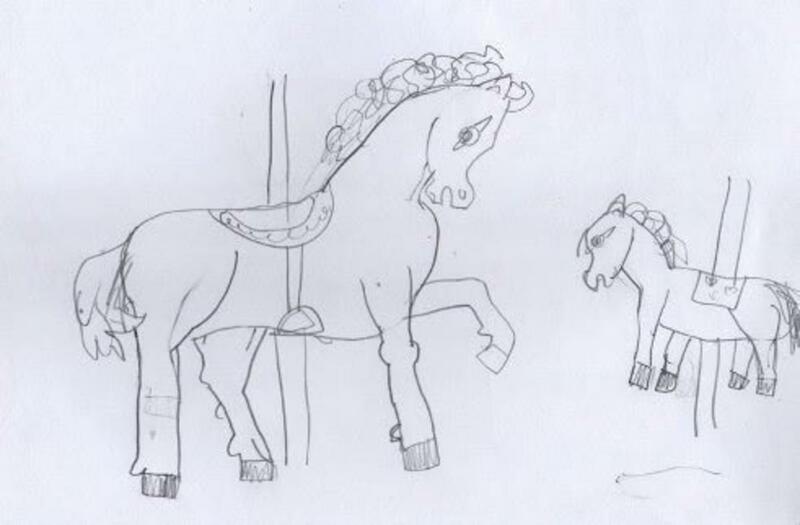 I ordered Drawing With children many years ago and my mother-in-law has been using it to teach the children. She starts when they are four and they are all doing really good. My two youngest are actually having their first lesson this afternoon. I don't know what we'll do after we move. I guess I will have to come back here for ideas so I can teach them myself. In case you didn't know, this book actually has a sequel called "Drawing With Teens and Adults." I'm sure Sprite is a budding artist! I use 'Drawing on your emotions' with some of the children I work with and drawing gives children ways to express themselves when words often fail them. 5* for you and one of my special gold stars for Sprite!